When it comes to hotels, low-budget deals usually don’t go hand-in-hand with basic (read: decent) facilities. 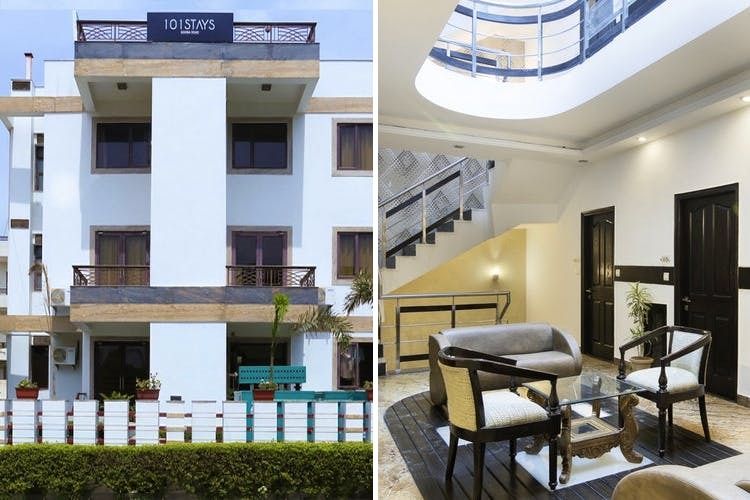 Breaking that myth is Treebo, a hotel chain spread all across Delhi NCR, and a good option for solo travellers and families alike. We’ve all had our share of horrible experiences with hotels when we’ve jumped at the pocket-friendly rates, but the service and condition of the rooms was completely not up to scratch. We say you avoid all that and just book the nearest Treebo hotel. They’ll give you a comfy bed, clean washrooms, prompt 24X7 service, WiFi, a yummy breakfast and, just in case they slip up, they even come with a 30-minute service guarantee - or a money-back guarantee upto INR 1,200. You can read more about that here. Whether you’re a solo traveller or a couple looking for some alone time (they have a couple-friendly option on their website too! ), feel free to make your bookings here. We've found deals here that go as low as INR 1,372 which is not bad at all for a space of this calibre. We love that Treebo’s got good hotels which are not out-of-reach, even if you're low on dough. They’ve got hotels spread all across the city, including Noida and Gurgaon, and you can check the rates and location of them all here.